In rural communities, many women have limited training opportunities. But Mudgee’s Women in Ag group aims to ameliorate that by allowing participating Watershed Landcare members to explore topics of interest and build capacity through mentoring, peer support, sharing of knowledge and skills and expert speakers. 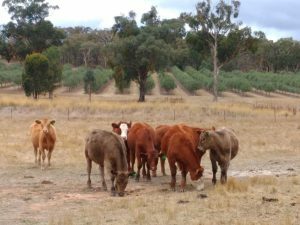 In recognition of the shortage of professional development available to women working in agriculture or ag related industries, Watershed Landcare received funding from the Central West LLS to run a personal development program for rural women in 2015. The program delivered targeted training, mentoring and built support networks to strengthen resilience, provide leadership opportunities and access to training and support services that enhanced confidence and skills through delivery of training workshops, webinars, and a regional forum. “The feedback from the program was overwhelmingly positive. The women involved learned a lot and had so much fun we decided to keep it going.” said Agness Knapik, Watershed Landcare Coordinator. “The aim of the Women in Agriculture group is to champion rural women by providing support, mentoring and professional development through vibrant and interactive conversation, and exposure to new ideas, approaches and innovation.” she continued. and has conducted a number of field trips. The women involved have diverse backgrounds, from grazing and horticulture to running their own food manufacturing plants and natural resource management. The Women in Ag group meets once a month for a cuppa and a chat and to explore a topic of interest and provides an opportunity to ask questions and share experiences and skills. Specialist speakers are also engaged to run workshops on different topics. The Women in Ag group meets on the last Wednesday of the month, 9-11am. This month the group will be exploring the Putta Bucca Wetlands, learning the history of the site, and gaining some bird identification skills. Want to get involved? Contact Watershed Landcare Co-ordinator, Agness Knapik, on 0435 055 493 or email: info@watershedlandcare.com.au. The Women in Ag group is supported by Watershed Landcare and is a part of the NSW Government’s Local Landcare Coordinators Initiative, supported through the partnership of Local Land Services and Landcare NSW.